The Corona Bike Light is a commuter's dream and perfect for lighting up the trail. 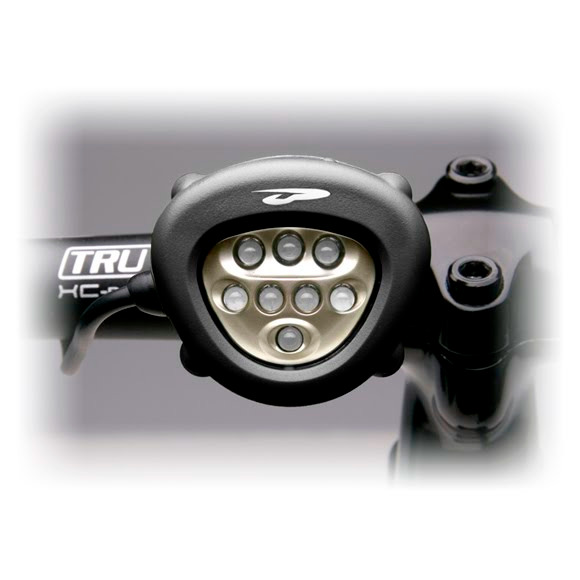 With the ability to switch between 8-, 5-, 3-, or 1-LED output, the Corona Bike allows the user to choose the amount and type of light to satisfy every task. The Corona Bike Light is a commuter&apos;s dream and perfect for lighting up the trail. With the ability to switch between 8-, 5-, 3-, or 1-LED output, the Corona Bike allows the user to choose the amount and type of light to satisfy every task. Whether your needs are to flood the street with light or make sure everyone sees you coming, the varying levels of output and number of LEDs chosen create a wide variety of burn times, beam patterns and energy consumed. Each mode also offers the option of switching to a blinking mode, further ensuring your safety.